The RapidSMS API simplifies the integration process of our unique features into your applications. Enable seamless integration of SMS messaging into your existing systems or future customised projects. ​How Do I Gain Access To The API? 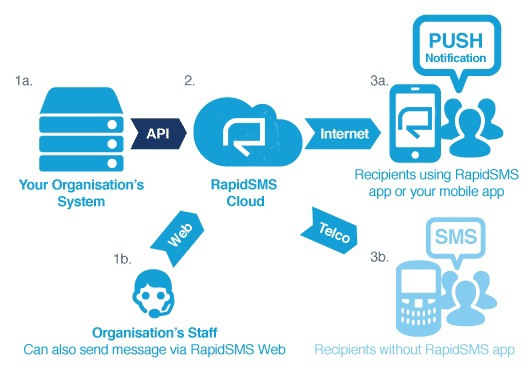 The actual RapidSMS API is available to all RapidSMS users for a one-time setup SGD$300. Upon payment, a RapidSMS API consultant will give you your actual API access URL. What libraries do you have? We currently provide libraries for .NET, Java. PHP and Ruby. We are also able to create a wrapper for your favourite language.